Bermuda Sanshou Association (BSA) hosted its 2nd Annual Sanda Pandas In-house Tournament at Aries Sports Centre in front of a crowd of very enthusiastic parents and supporters. Fourteen athletes competed in the In-house competition where 6 Gold, 6 Silver and 2 Bronze medals were awarded to the winners. 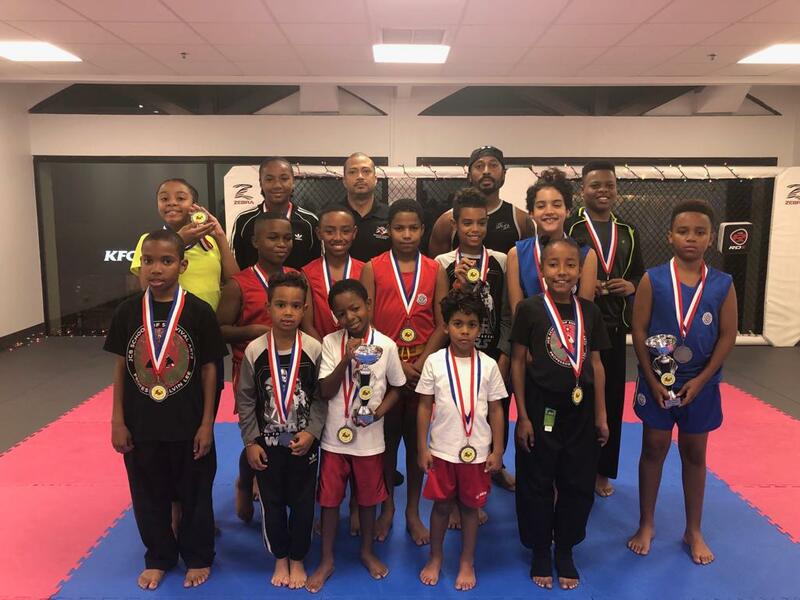 The majority of the competitors are part of BSA’s Sanda Pandas program under the tutelage of Coach Sentwali Woolridge with two of the athletes representing JCB School of Survival Arts who also have their home at Aries. Yu’udai Trott Hayward was selected as the Tournament’s Overall Outstanding Fighter while Alessandro Davis was announced as the Most Improved Fighter for 2018.